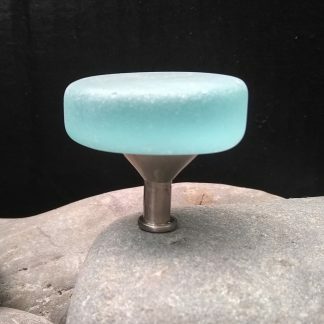 View cart “5″ Center on Center Tumbled Beach Glass Cabinet Pull” has been added to your cart. 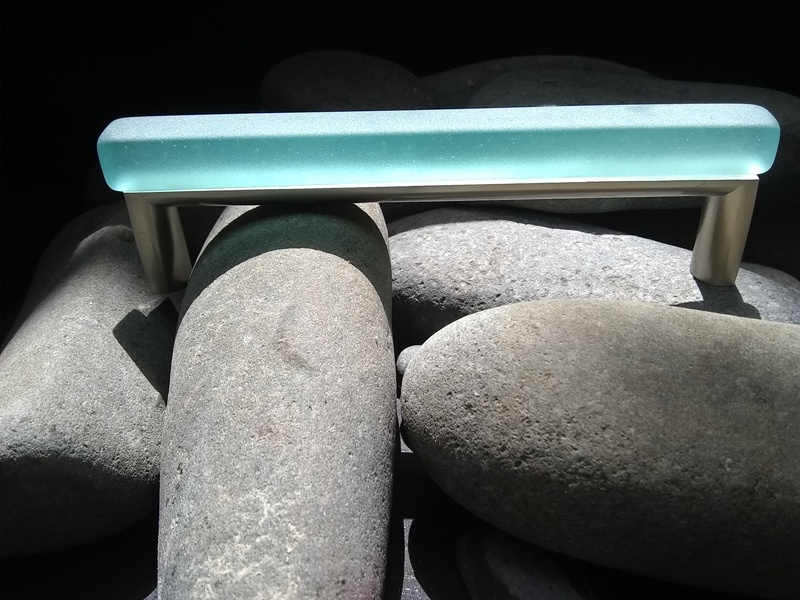 Hand carved glass is tumbled to a soft sea glass finish and mounted on a satin nickel base. These are 5″on center mount. 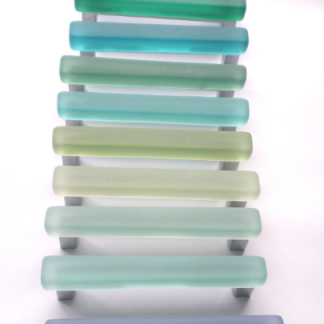 The glass is 1/2″x 1/2″ x 5-1/2″ long . These are available in cool sea colors. 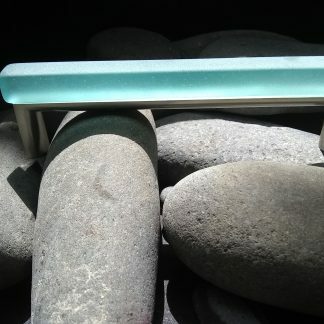 Custom widths and colors are available on request.